National Cyber Security Awareness Month (NCSAM) is upon us! Visit this page to access new content for each week of the month using the links on the left. Use the LastPass Enterprise password manager to create & store online passwords securely. Step up your password protection with two-step login. 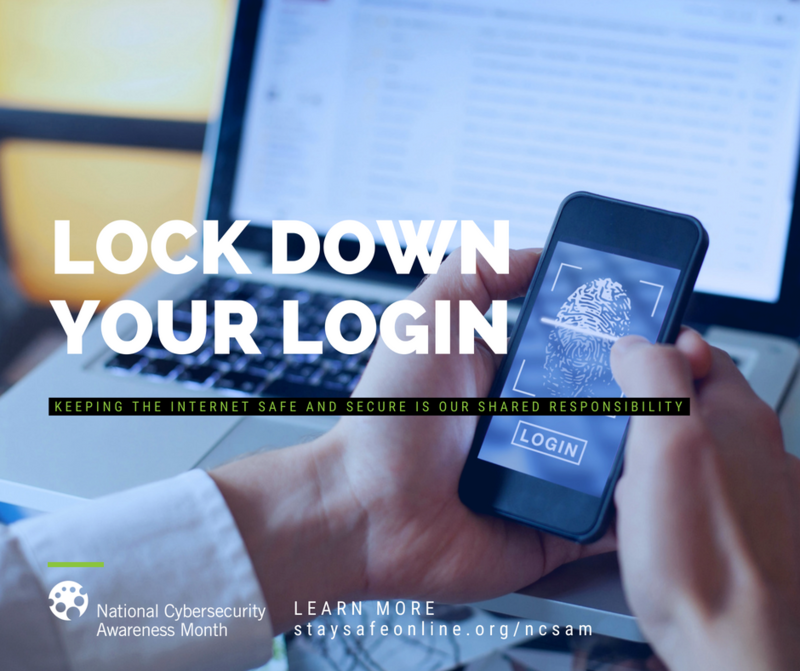 The goal of National Cyber Security Awareness Month (NCSAM) – celebrated every October – is to ensure that all Americans have the resources they need to stay safer and more secure online. IT Services registered our campus as a NCSAM Champion to support and further the goal of this initiative on our campus. See the National Cyber Security Alliance graphic for ways you can also get involved. 2018 marks the 15th year of #CyberAware Month. Be a part of something big – visit StaySafeOnline for more ideas on how you can make the internet safer and more secure. For more information, contact IT Services Security at cybersecurity@ucsd.edu.